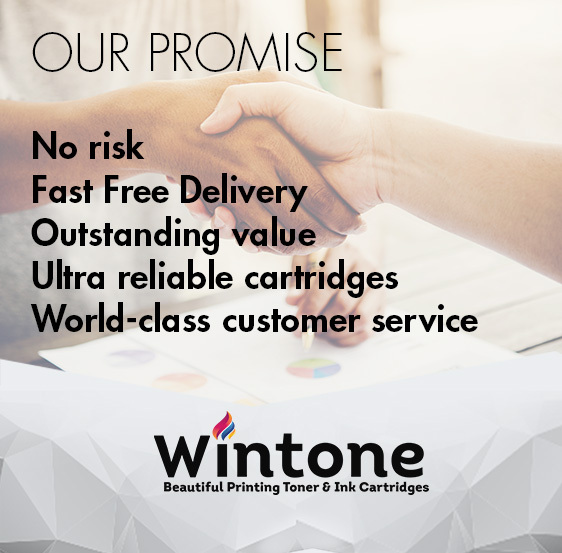 Wintone-Toner-Dubai.com is one of the largest Retailers of printer consumables, supplying both home users and business office users throughout the UAE. Our success is built on a simple philosophy; we give our customers what they want, when they want it. Our aim is to provide you with an unbeatable service that is truly world class. everything we sell is delivered free of charge. everything we sell is covered by our 1 Year Warranty. At Wintone-Toner-Dubai.com, we’re dedicated to delivering the very best in value and service. We believe that the key to a successful business is putting the customer first. Great prices are nothing without great service before, during and after your purchase and we’re always working hard to exceed your expectations. We stock the widest range of compatible inkjet and toner cartridges. We supply many compatible laser cartridges for brands including Samsung, Panasonic, Epson, Dell, Kyocera, Brother, Canon, HP, Lexmark, Oki and Xerox. We always offer extremely competitive pricing, but also understand the importance of great service. That’s why we keep thousands of product lines in stock, offer super-fast delivery and have a team of sales advisors should you need that little extra help. Thanks for shopping at Wintone-Toner – Laser printer supplies. All WINTONE Cartridges are 100% tested for the printing quality on production line. This is why we offer 1 year Warranty on all toners. Our cartridges meet or beat the Original Manufacturers quality and provide you with an equivalent page yield and equivalent print quality. Copyright © 2017- Wintone-Toner-Dubai.com. All rights reserved.